HTTP server for phishing in python. 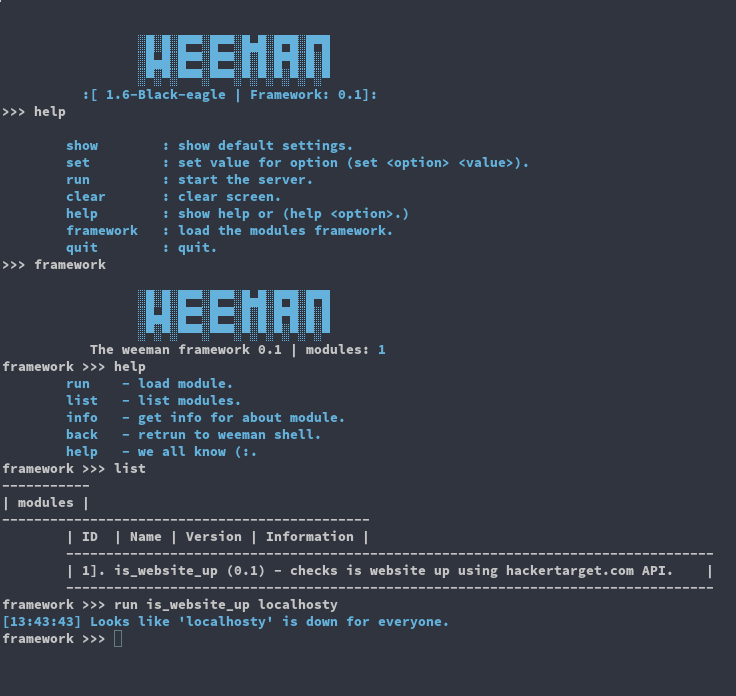 (and framework) Usually you will want to run Weeman with DNS spoof attack. (see dsniff, ettercap). Weeman framework 0.1 is out !!! You can use weeman with modules see examples in modules/ , just run the command framework to access the framework. If you want to write a module please read the modules/. Soon I will write docs for the API. You can load profiles in weeman, for example profile for mobile site and profile for desktop site. Thank you - and happy contributing!